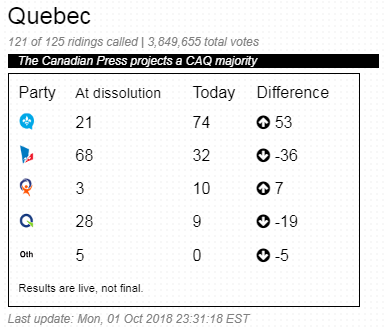 Global is reporting that "François Legault’s Coalition Avenir Québec (CAQ) will form the next majority government in Quebec. 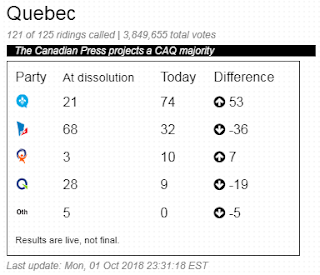 This historic election marks a first victory for the party and a stunning defeat for the Liberals." A little je me souviens à nos frères au Québec.